Focusing on the McLaren Organization, this text delves into the business and commercial aspects of running a Formula One outfit, including interviews with management, sponsors and technical partners. It also documents the drama and excitement of race weekends, examining team strategy and tactics. 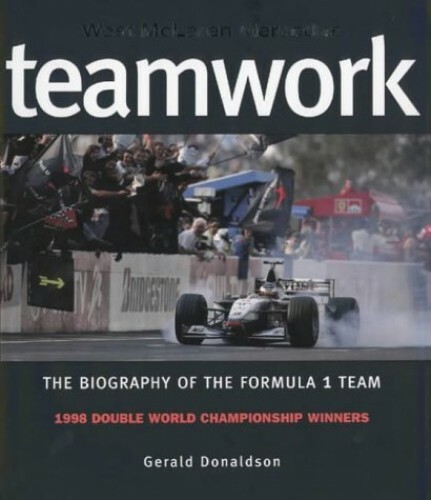 Written by a journalist with access to the team and endorsed by the McLaren organization, this book focuses on key team members such as managing director Ron Dennis, his wealthy and mysterious business partner Mansour Ojjeh, and the dashing drivers Mika Hakkinen and David Coulthard. The book delves into the business and commercial aspects of running a Formula One outfit, including interviews with management, sponsors and technical partners. It also documents the intense drama and excitement of race weekends, examining team strategy, tactics and the impact on the team of the regulations for 1998. This revised edition contains a new chapter, which celebrates McLaren's double success in capturing both the 1998 World Drivers' and Constructors championships.